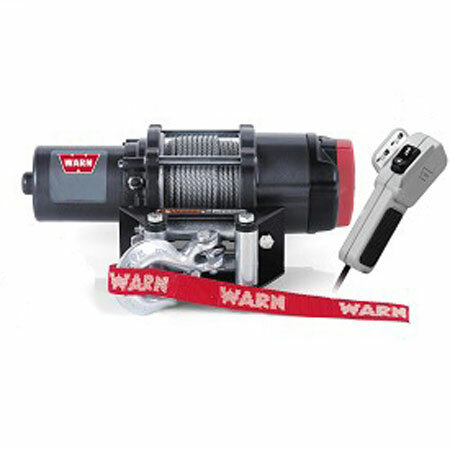 This winch is compatible with 1-1/4-in. 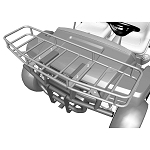 front and rear receiver hitches. 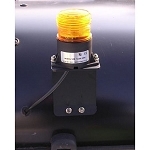 I had this winch put on my Gator 4x6 at the dealer when I first picked up the vehicle and it is an excellent piece of equipment. 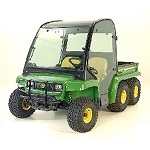 I have used it to drag loaded pallets and other heavy objects in constricted areas where just pulling with a chain off the Gator was not going to work. The winch performed flawlessly both with a pulley or single line pull. If you need a useful accessory, this is it.